President Taft’s 1909 White Steam Car is significant based on three out of four of the Criteria for Historic Significance. First it is associated with important events and important persons in American history as the first Presidential Limousine. 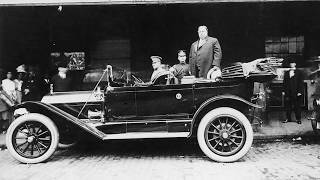 The Steam Car was acquired under the Taft administration and was enthusiastically used by the President who actively promoted the adoption of the automobile in America. The White Steam Car is further significant based on its informational value as the only one of the original four vehicles used by the Taft administration that survives today.